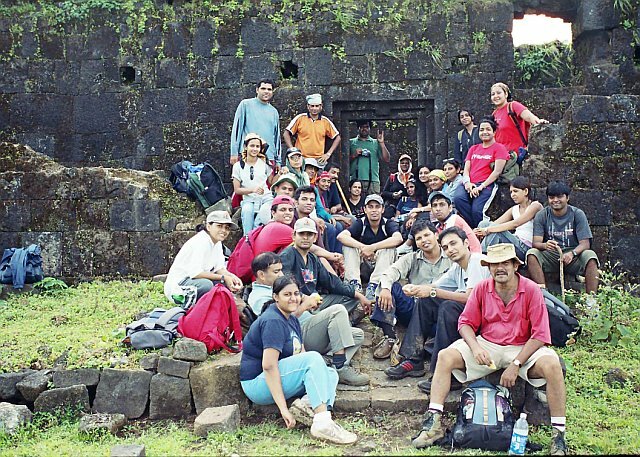 Exploring History and Heritage on trek to Ancient Fort and Caves dating back to almost 2000 years old. Altitude: 3567 feet above mean sea level. Difficulty Grade: Moderate (2 hours and 30 minutes to climb and 2 hours 30 minutes to descend). Nearest Railway Station/ Bus Stand: Malavli (You can reach here by local train from Pune or Lonavala). Lunch (Carry your own packed lunch; snacks and water bottle 2 liters per head). Any kind of Insurance, Personal Expenses, Any other meals/food, Tips etc. Packed Lunch; Snack with 2 to 3 liters water bottle per head. Flash Light; and Personal Medical Kit. General Medical Kit will be available with trek leader. 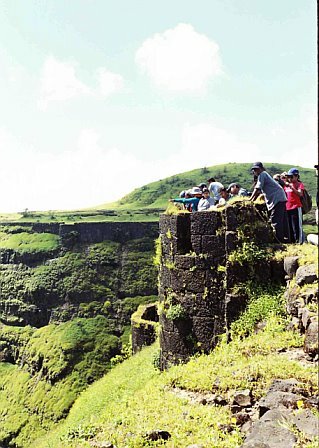 Our first major destination for the day Visapur stands tall at a height of 3567 feet; this fort is located next to another fascinating fort Lohagad. These two forts are separated by a small khind called Gaimukh. These forts were built during the period of Satavahana reign. 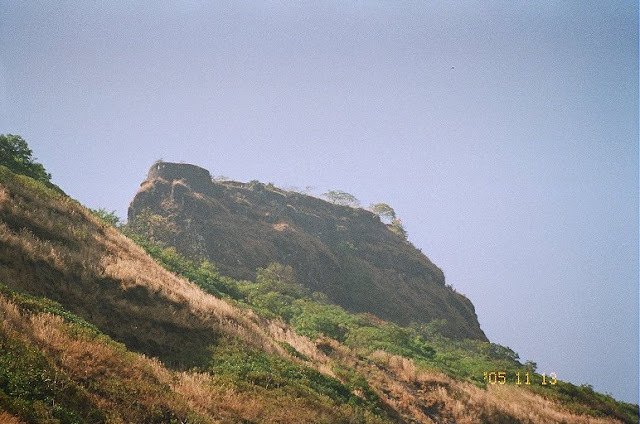 After being under the control of Nizamshah and Adilshah, the forts were then conquered by Chatrapati Shivaji Maharaj, Later in a treaty signed by Shivaji with Mirza Raje Jaisingh, he handed over twenty three forts to Aurangzeb. Subsequently he recaptured these forts; after his death the forts came under the rule of Mughals before Kanoji Angre won it back. During the time of the Peshwas these forts were used quite a lot. The last rulers of the fort were British. We reached base of the Visapur hill; at Bhaja Village exiting express highway Lonavala near Walvan Dam, then taking left around 15 km further down on National Highway NH4 at cross road junction with one road going to Karla Caves and other to Malavli Village where we were heading.A quick session on Dos and Don'ts; followed by a quicker script on Visapur / Lohgad background we started with our local boy-scout Vishal who was our route guide for rest of the day. A trekking party; especially having 32 or more varying degrees of dynamics will have all kind of characters; There will he ones whose objective in life for a trek will be to reach the top as-fast-as possible; dig the flag post and then also start back ASAP. Then there will be other end of the contrast who will want to laze through the entire trek; for various reasons from being tiered due to lack of sleep and or fitness level at that time and date or simply don't want to rush through the things; nothing wrong with that but we also have a tentative time table to maintain. Most of the members (90%) will lie between the two extremes. And we will exclude the two extreme exceptions when we decide on ideal trekking etiquette.